A courageous, loving winery producing wine using traditional methods and processes. A moving true story … Let's tell the whole world about it. When Giovanni Galfano died prematurely in 2010 aged only 37 years, Alessandra his sister and Fabrizio her husband abandoned their once peaceful and safe life in Turin to move to Sicily. 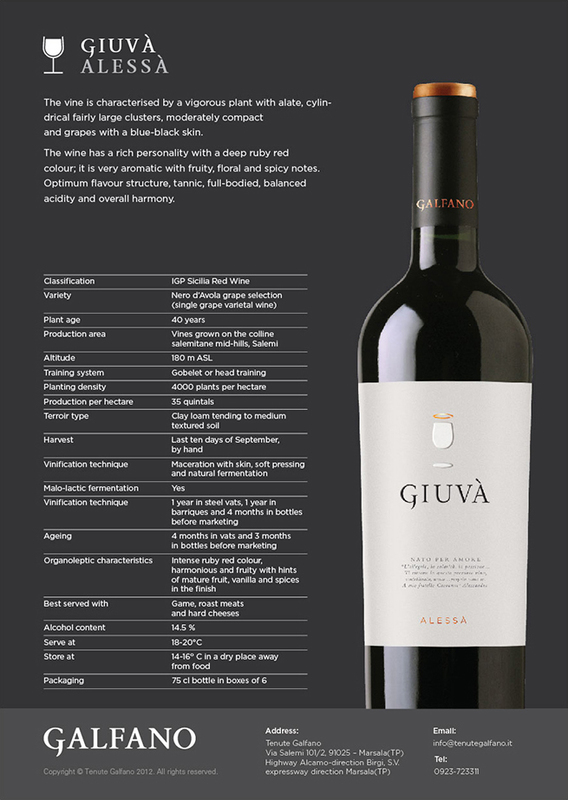 They did so to fulfil Giovanni’s lifelong dream to produce a wine of distinction using traditional methods. With a huge investment in love and show of family unity, the pair took up the challenge and in 2011 asked us to help them position and redefine the winery’s offer. 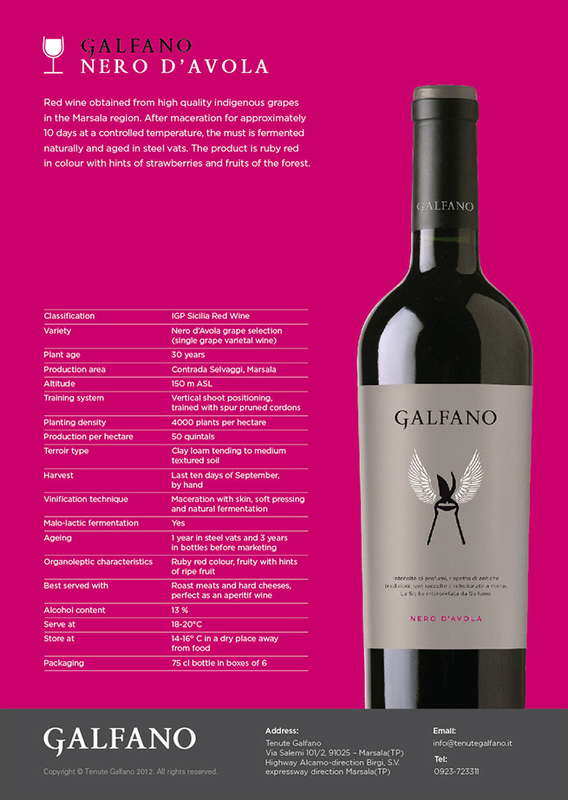 We thought Galfano the wine of angels and a fitting tribute to Giovanni. Let’s tell the world about it. 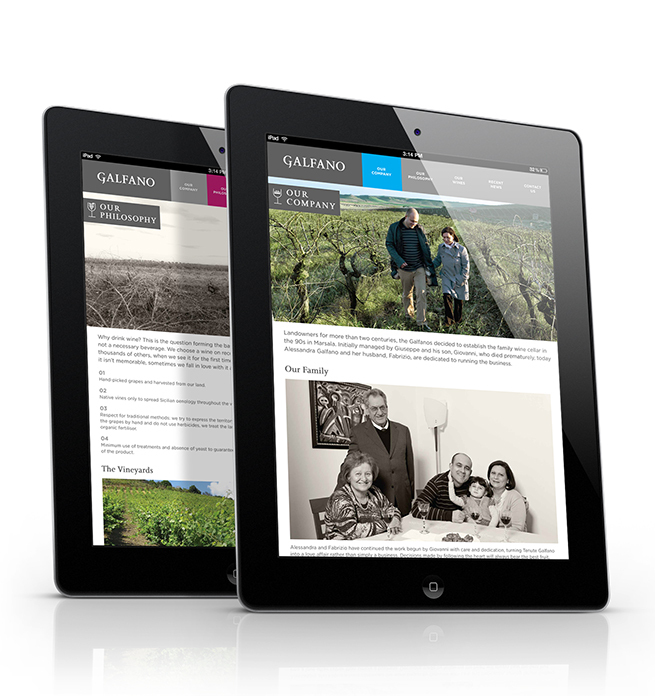 The brand essence of Galfano is embodied in the vine pruning shears used to represent the family's care of their land and the wine they produce. Only natural ingredients are used, with no artificial yeasts or additives, and the grapes are cut by hand to avoid damaging the vines. 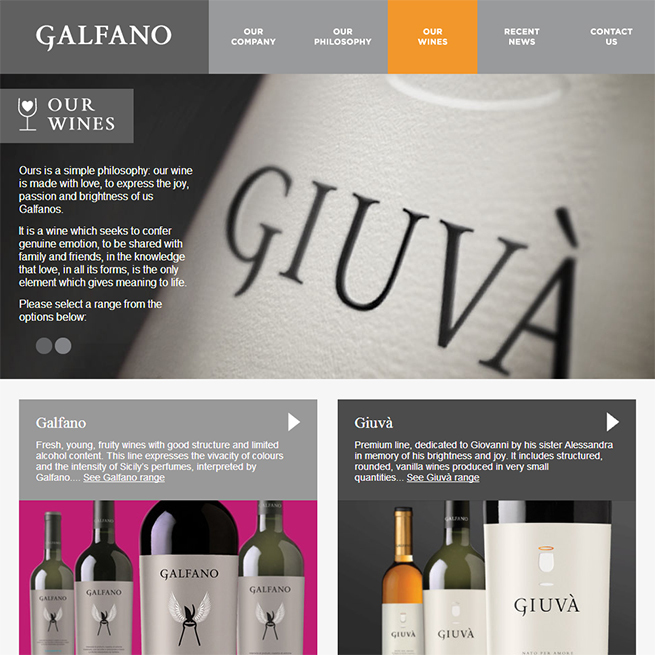 The visual identity and bottle labels were the start of creating this small but authentic brand that would bring to people’s attention the philosophy that is Galfano. 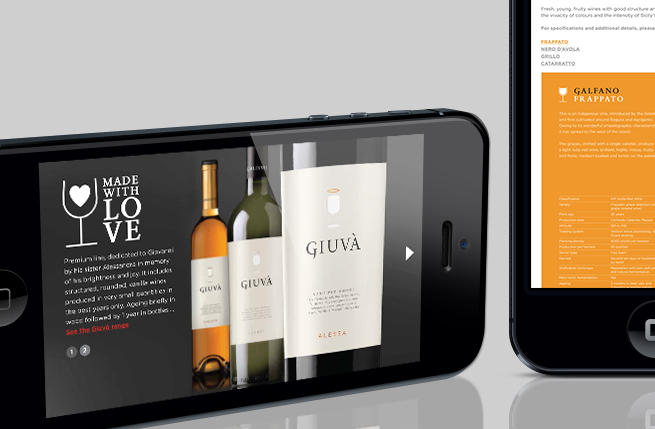 This small company wanted to develop its online presence in a way that was cost effective and efficient. Using our bespoke Content Management System or CMS, we provided them with a flexible dynamic website, including customisable main page promotions and menu items, and information downloads for their agents and customers. To make sure all content is presented properly, the company likes us to update the website’s news and events pages, although Galfano could easily do this if they wished. Our CMS is designed to support our clients’ continuing online needs, with web pages responsive to viewing on different screens for mobiles, tablets and pc for increased legibility. This is no stop and start website. 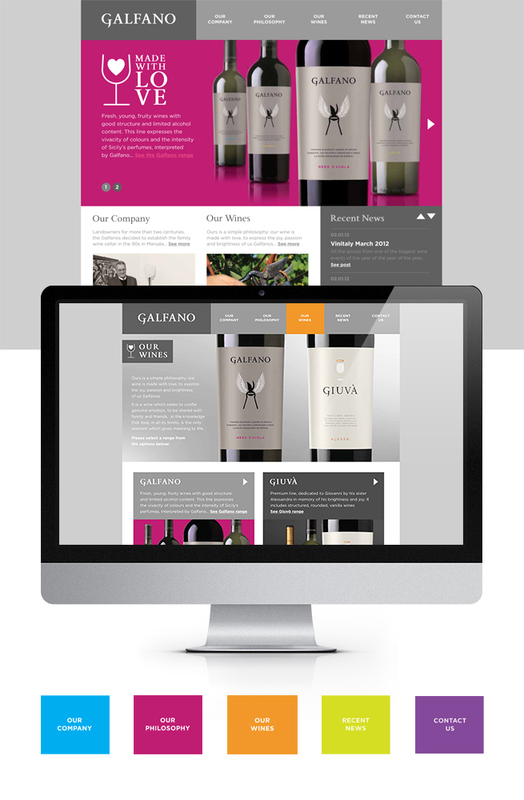 Now the online presence of the Galfano brand can grow day by day as the company’s business grows. 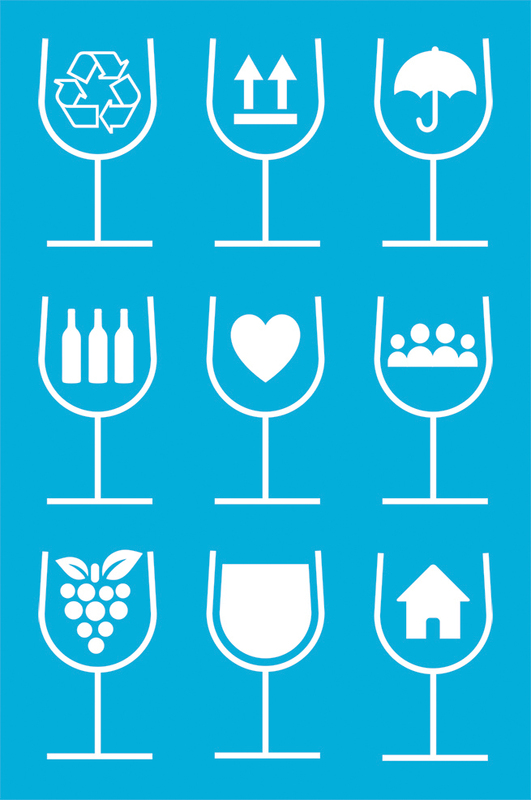 The long term prospects are therefore looking good, especially in those countries where Galfano has established a network of agents to represent its wines. 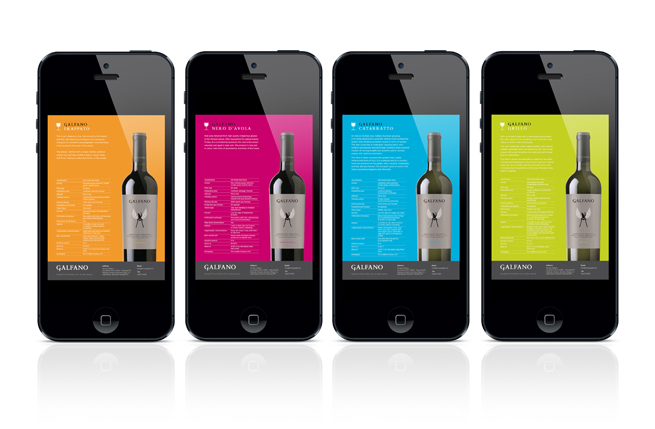 In the USA new company, South Italy Imports, has been set up with a local agent called Galfano USA. The agent has listings in some of the top US restaurants in Pensylvania, Las Vegas, California including Fishbone and Shula’s chain serving specialty and authentic wines from around the world. Galfano is making progress in other countries including UK, Czech Republic, Germany, Finland, Poland, Denmark, Switzerland, Russia, Ukraine, Japan, China, Taiwan and Philippines. In spite of the difficult market conditions in Italy, domestic sales are stable even if its positioning is high as a result of the new brand. 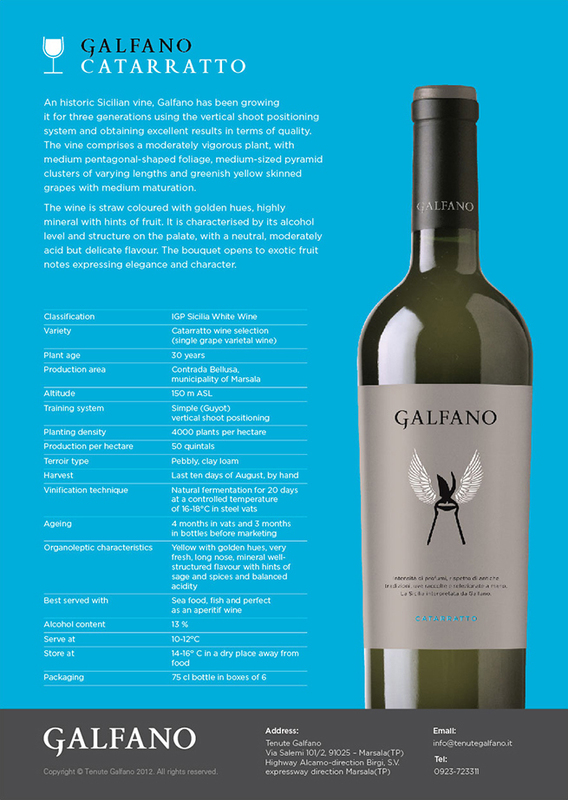 Galfano is working well in the South of Italy with a forecast of 100,000 bottles for 2013 and a 100% increase due in 2014 when its new network of 15-20 agents start selling in North Italy.